"Ptolemy Philadelphus was presented with a young elephant which understood the Greek language of the district where it had been brought up. Hitherto it was believed that elephants understood only the language spoken by Indians." The tradition of training elephants goes back some 4 000 years, developed in the Hindu valley, as far as the oldest paintings and statues document. All over southeast Asia the traditions of catching and training wild elephants spread. In most cases the elephants were possessed by rich kings, for war or prestige, and the trainers formed into particular castes, trained and disciplined by superior trainers in the kings elephants stables, forming the elephant cavalries. By this time the elephant handlers were entitled great honor and prestige. The tradition slowly spread towards the west. Around AD also African elephants were used in wars and in arenas, but they seem during this period however, never have been trained "south of the Sahara", except for Ethiopia and Somali, where famous hunting tribes became skilled with elephants. Greece and Rome had arenas permanent circuses, and one of the more famous was owned by Queen Hat-Shep-Sut of Egypt. 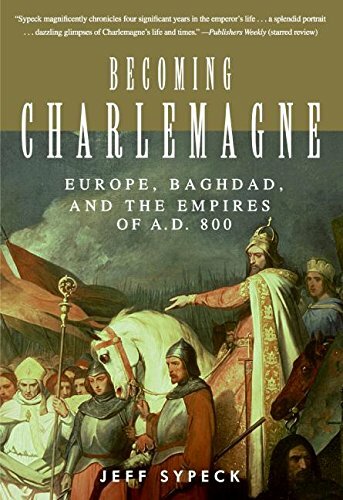 Among the earlier Zoological Gardens in Europe after the fall of the Roman empire, was the three menageries owned by emperor Charlemagne, (Karl the Great) Aix-la-Chapelle, Nijmegen and Ingelheim. In 797 he received the elephant Abul-Abbas as gift from Harun-ar-Rashid. But until the late 1800�s elephants were so few so training them never became a western profession. When Carl Hagenbeck in Hamburg, Germany, became involved in international trade in wild and trained animals, there was a demand for people to train them, and follow them to their new owners. The Europeans was trained by Asian mahouts, often from Sri Lanka, and a mixture between the Asian mahouts, and the German horse trainers mentality formed the western elephant trainer. Since 100 years, the chief trainers at Hagenbecks Zoo in Hamburg, Germany has trained keepers from other places. The training is mainly based on a mixture of old Asian methods, and circus training. The Hagenbecks elephant house was for a long time considered a "Mecca" for elephant keepers in Europe, and the chief trainers are the legends in the profession. Also working a while with Circus Knie in Switzerland was considered fruitful. Standard of management, training and general care for elephants at Knie, has always been high, compared to other circuses or zoos, and they have had the best trainers. So, Hagenbeck and Knie, and the chief trainers there, has meant a lot to European elephant training traditions. Their, and their elephants names, live long after they died, and their deeds and whereabouts are still spread among zoo staff in Europe. Famous names are Joseph Haak, Fritz Thaisinger, Hugo Schmidt, Karl Kock and Ruedi Tanner, naming a few. Their knowledge and experience has spread almost like a genealogical tree, and their followers has formed a network for younger keepers, so that today, present tutors, were trained by one of them, or their pupils.